Well-constructed questions are essential in successful business development. We need to pay close attention to the language we use in our questioning and the language used by the client in response to these questions; they can give us valuable clues. As mentioned in my article on active listening, questions and listening are inextricably linked. Exploratory questions tend to be open because they are more likely to encourage detailed answers and provide you with the information you need to uncover from your client. Given that the primary focus of this article is questioning, a good starting point seems to be to spend some time asking ourselves some questions that might be useful prior to an important business meeting. Now you have clarity on what you intend to achieve from that meeting, it’s time to focus on the kinds of questions you want to ask your client in order to uncover their need (which may be neither clear nor known to them) and their desire for a solution. 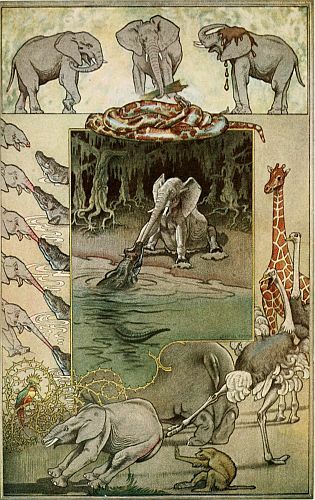 If you grew up reading Rudyard Kipling’s ‘Just So Stories’ you may remember his ‘Six Honest Serving Men’ poem (in the story of ‘The Elephant’s Child’). It’s certainly worth being judicious with ‘why?’ questions; they can put someone on the defensive. Useful sometimes for eliciting values, but not necessarily solutions. Questions starting with ‘how?’ are usually more useful in problem-solving, because they help uncover the structure of a problem. Hopefully, you now have more information. You can work with this to create more probing-style questions, building on what you’ve learnt in the previous answer. If you’ve been paying attention to their language, you can use their preferences to formulate your next question. If they are more visual, and you tend to be more auditory, you might want to adapt your language to say ‘I see your point’ rather than ‘I hear what you’re saying’. If you feel that this is an area where you need some practise, it is worth brainstorming the kinds of questions you might want to use and rehearsing with a colleague. As with pre-pitch calls, this technique of doing ‘mocks’ can feel odd and rather fake. But if you haven’t already done this kind of exercise, you’ll be pleasantly surprised. It’s remarkable how valuable and relevant the kinds of questions that get unearthed can prove to be for the live pitch or meeting. Another way of improving your chance of success in a business meeting or a pitch is known in NLP as ‘modelling’. This tool encourages you to analyse the process of someone who is outstanding in the area you want to be successful and adopt their strategies yourself. You can also model your own behaviours from one area where you are very successful to another where you aren’t as effective. It’s similar to what I outlined in my earlier paragraph about well-formed outcomes. You recreate something very vividly. For example, if you play a musical instrument well and are able to learn and master new pieces relatively easily, you can use modelling to analyse those strategies and apply them to an area you want success in, such as preparing a delicious, nutritious meal that delights your friends and family. Who do you know who is very successful in business development or sales? What is their optimal state when in a business meeting (what do they think, feel, do, see, hear, etc)? What, if any, other strategies do they use? Once you’ve elicited this information, start applying it to yourself using the NLP model described above. ‘there is no such thing as a non-resourceful person, just a non-resourceful state’. Whether it’s in business development, fabulous cooking or brilliant piano playing, wishing you joy and success!